Harry N. Abrams, 9781617690914, 230pp. 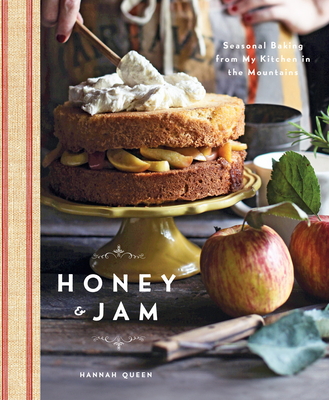 Hannah Queen is a professional food photographer and baker who shares seasonal recipes on her blog, Honey & Jam. When she’s not blogging, she’s photographing for clients such as Food & Wine and Terrain. She lives in Blue Ridge, Georgia. “Honey and Jam makes you feel like you're in Appalachia with Hannah Queen, picking fruit out back and baking. Living in the woods of Northern California, I understand how a place and its local produce can inspire creativity and recipes, and she portrays this notion so well with rich photography and unforgettable desserts."